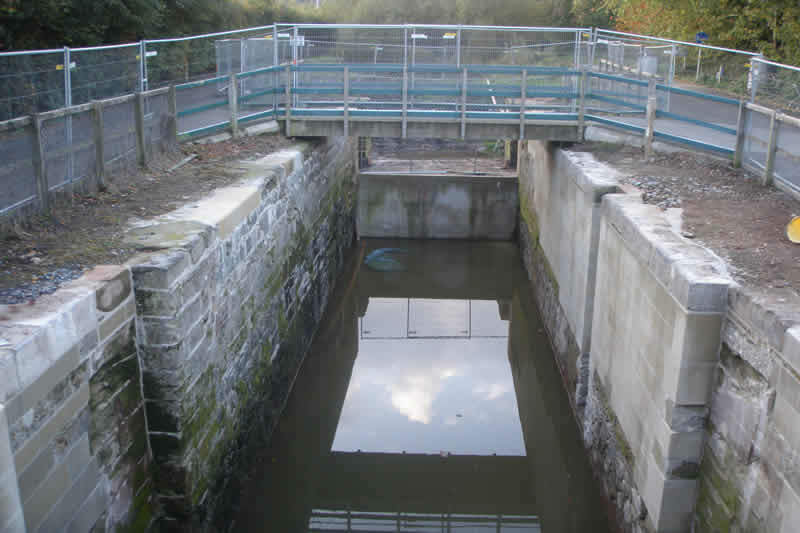 Laganscape was a Landscape Partnership Scheme which commenced in December 2007 and was completed in 2014. 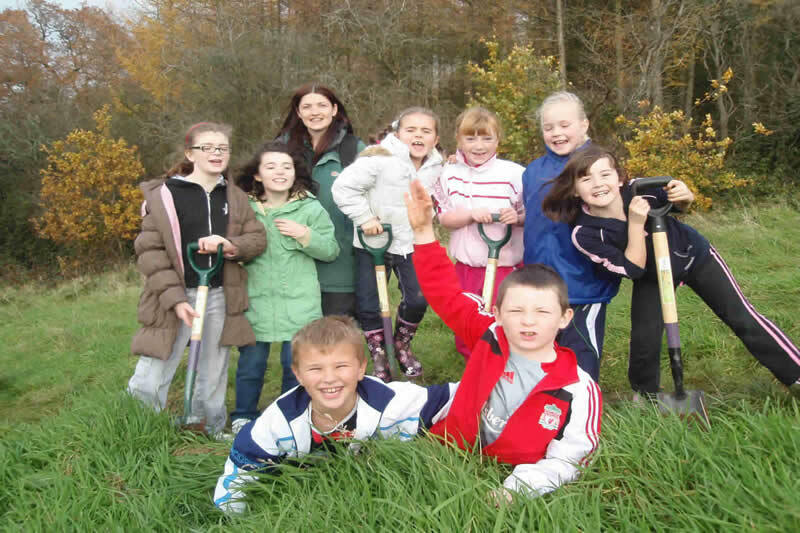 It was a grant programme supported by the Heritage Lottery Fund.Through Laganscape, we have encouraged involvement in the management of Lagan Valley Regional Park (LVRP) through school groups, local communities, business organisations and volunteers.The scheme was valued at 2.3million and employed 3 full time and 1 part time member of staff in the Park. 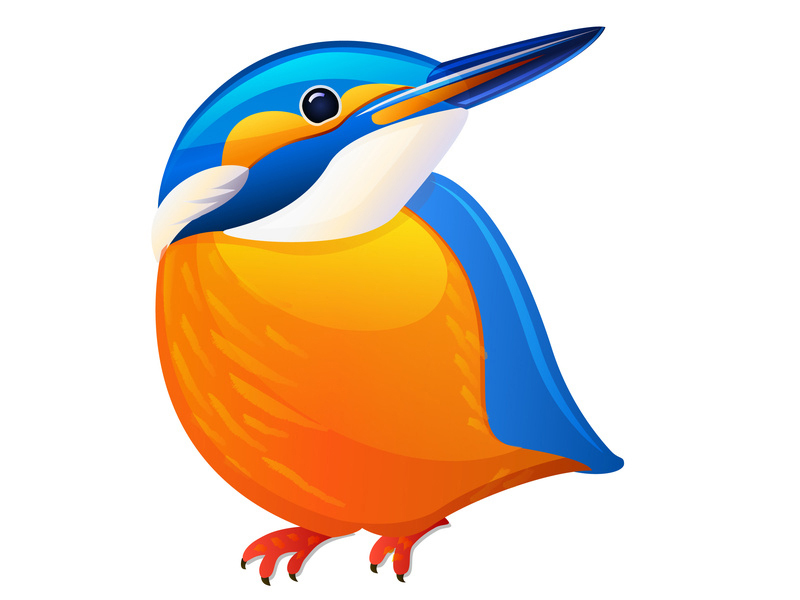 For further information check out the publications section of this website. The signage that you see throughout the Park with the Lagan Valley Regional Park logo and the black oak posts, was funded by Laganscape. Work is complete on the development of a new riverside park along the River Lagan at Millbrook Huguenot close to Lisburn City Centre. The project has seen improvements to the pathways, installation of play areas, fishing stands and restoration of heritage features. The work was funded by the Heritage Lottery Fund (HLF) through Laganscape, a Landscape Partnership Scheme along with a contribution from Lisburn City Council who initially developed the idea for the project. Head of HLF Northern Ireland, Paul Mullan, said: The Laganscape Landscape Partnership has already achieved so much and it is wonderful to see this work completed. The riverside scheme has increased access to the natural heritage and biodiversity of the area for both local residents and visitors to learn about and enjoy, and we are delighted to be involved. The Millbrook Huguenot riverside scheme is an exciting project within Lagan Valley Regional Park. We in Laganscape were delighted to work with Lisburn City Council and the local community to deliver improvements which have seen a new recreation amenity created along with the conservation of wildlife and the local heritage attached to the nearby Hilden Mill. Click here for an information leaflet on this exciting new project. 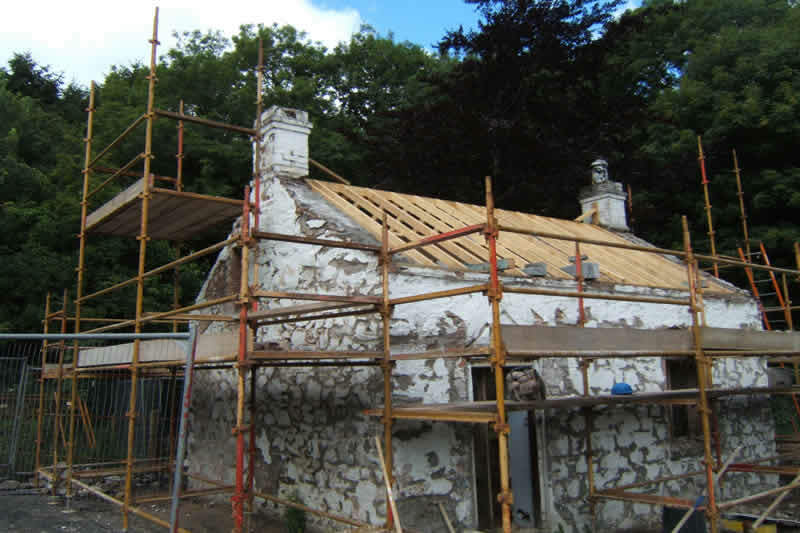 Restoration on the Lock Keepers Cottage commenced on 23rd June 2008. 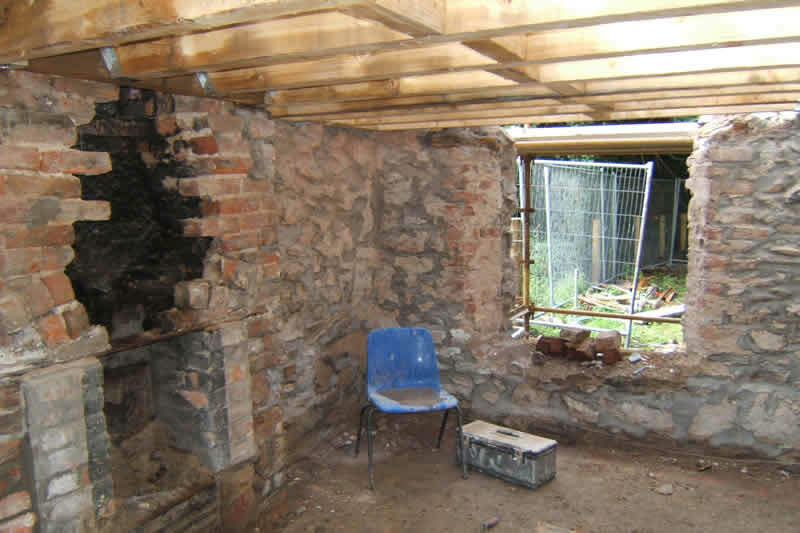 The works have seen the inside of the cottage restored to its former glory with the windows, doors and roof being replaced. The cottage has been restored to how it would have looked in the early part of the 20th Century. 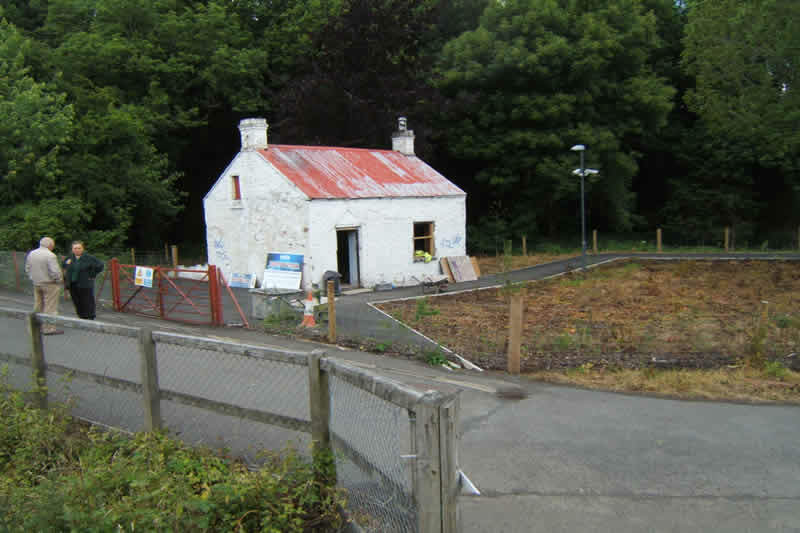 With the assistance of Mrs. Dorothy McBride, who was raised in the cottage, Laganscape, in conjunction with Castlereagh Borough Council, has fully restored the Lock Keepers Cottage, which is now open to the public when our Volunteer Heritage Guides are available to man the cottage. Groups are facilitated outside these times.We are greatly indebted to our volunteer Heritage Guides whorun thecottage on our behalf. 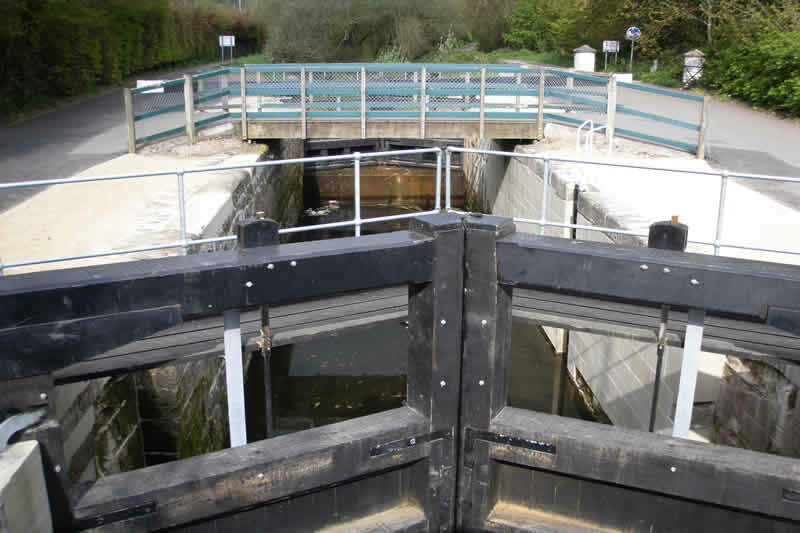 Workson Lock No.3,are now complete.The project on Lock No.3 took place in partnership with the Department of Culture Arts and Leisure (DCAL) now the Department for Infrastructure (DfI) and was delivered through Laganscape. * finishing details including ladders and mooringposts. Laganscape aims to encourage involvement of peoplewho care passionately about their local area. 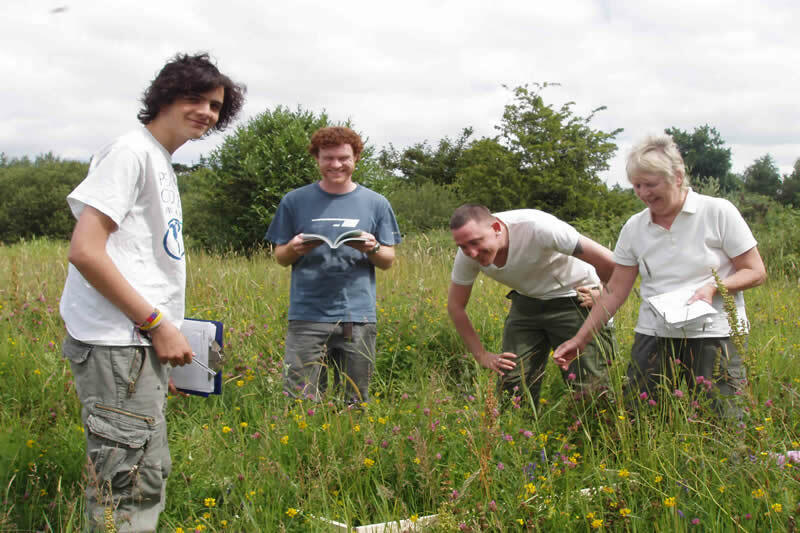 The volunteer programme waslaunched in May 2008 andhas been a remarkable success. Our volunteers show utmost commitment to their roles whether they are working in the Lock Keeper's Cottage, carrying out a wide range of conservation focused tasks or surveying and photographing the huge diversity of native species in the Regional Park. They are an enthusiastic and diverse group from all walks of life and all around the globe and are considered integral to the success of the project. Many of them have commented that the dynamics of the group have led to genuine long lasting friendships that have extended beyond the parameters of the project. 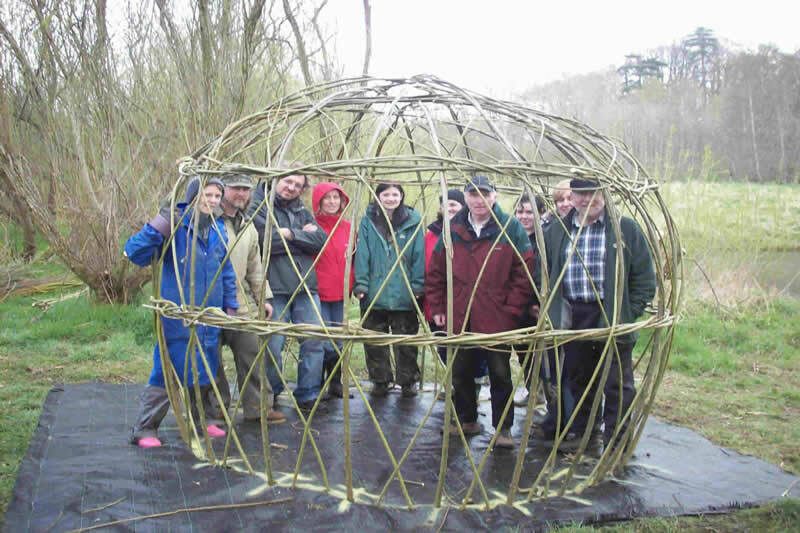 Laganscape volunteers are engaged in both the planning and delivery of projects. To this end they have a deep sense of pride and ownership for their local patch and the future sustainability of the programme. 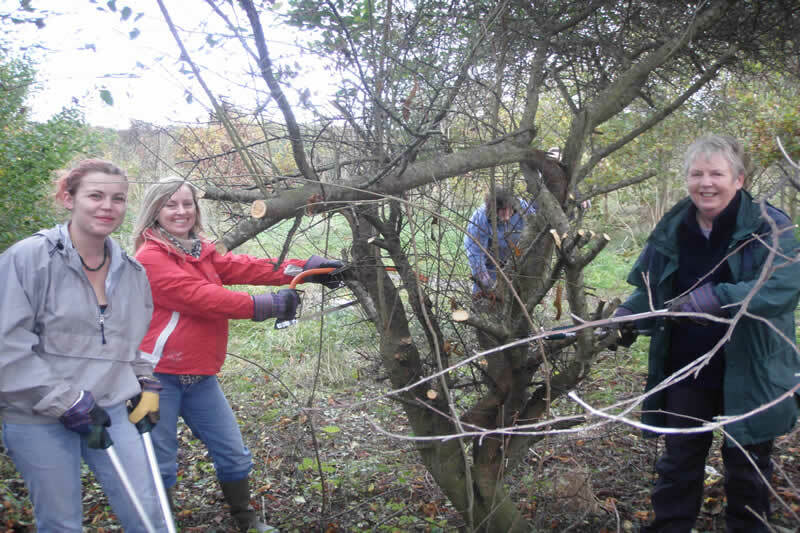 Their dedication and willingness to learn makes the Laganscape volunteer programme unique and a joy to be part of. At the Lagan Valley Regional Park Visitor Centre we now have a restored lighter. A team of Heritage Guides tell visitors the story of the 'Industry' lighter and all who sailed in her. 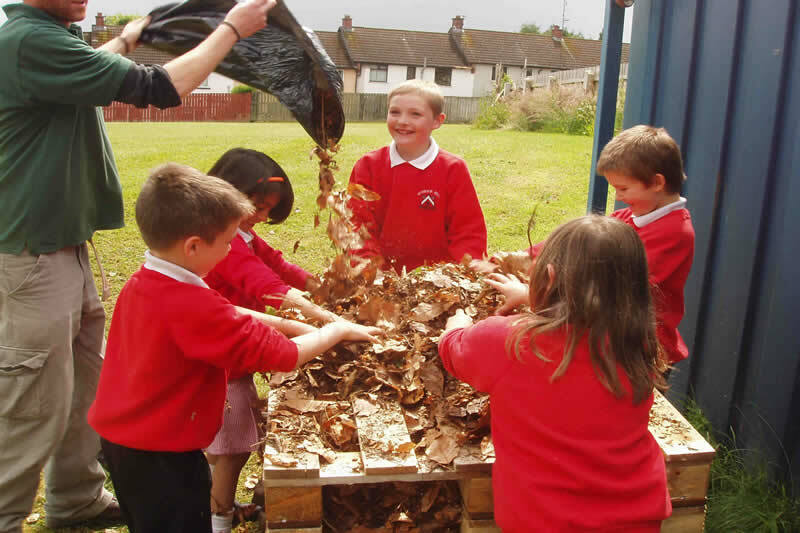 Laganscapehave teamed up with local primary schools to promote the use of the outdoor classroom by making space for nature in their school grounds. 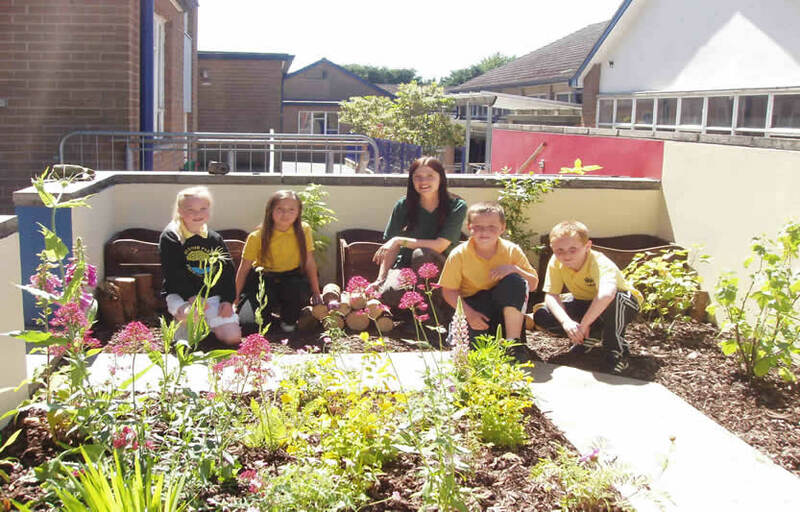 Pupils have been involved in the design and creation of some fantastic projects, that will not only create new habitats for wildlife but will serve as an educational tool in teaching the 'World Around Us' component of the Northern Ireland curriculum. Some of the projects include: planting a tree trail, creating a pond at Seymour Hill Primary Schoolthat will be used to discover the wonders of underwater life, building 'mini-beast mansions' at Stranmillis Primary School and constructing a wildflower garden that will bring birds, bees and butterflies to a drab corner of Belvoir Park Primary School. The headmaster for Seymour Hill Primary School said, "This has been a fantastic experience for the children that has really brought science to life". The veteran oaks in Belvoir Park Forest have been dated as some of the oldest in Ireland. Acorns from these oaks were collected and grown in a nursery and in December 2008 these were planted on a site adjacent to Belvoir Park Forest. In partnership with Forest of Belfast, Northern Ireland Housing Executive, several local companies and 160 children from the local Belvoir Park primary school we planted 2,500 of these oaks over 3 days. These saplings will extend the legacy of the Belvoir oak trees and the local children have been encouraged to come back and keep an eye on the progress of their individual trees. During 2009 and 2010 additional oaks were planted as well as understorey species. As part of the project, an extensive survey of the red squirrels was undertaken with a view to determining numbers and the capacity of the forest to provide a habitat. Unfortunately there has been a steady decline in the red squirrel population and the survey showed that there is no longer a viable population. Our squirrel survey volunteers continue to survey red and grey squirrels. For further information check out the publications section of this website.